- Adjusted engines and transmissions. Now this truck have only real engines (Cummins 485 to 600 hp) and transmissions (Eaton Fuller 13 and 18 speeds with or without retarder). - Added new accessory (bumper, light and mudflap). - Added new engine sound (credit: Kriechbaum). - Added new skins (Credit: Pauly). Sn4k3r, Badboy, Pauly, kriechbaum, RTA. Original model by RTA Kenworth K200 (VERSION 10). 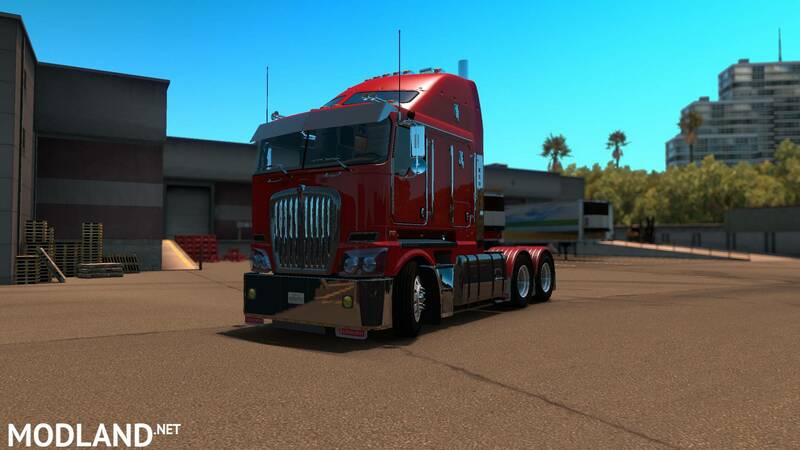 Converted by Badboy's Mods for ATS. Edited by Sn4k3r. There is no download. Please fix this. Please change the horn, it still has the European one. Is this an Standalone or a Replace?